Junior High Sunday School 9:00 A.M. Elementary Sunday School 9:30 A.M.
First Presbyterian Church of Deckerville is a Congregation of the Presbyterian Church (U.S.A.) (“PC(USA)”). 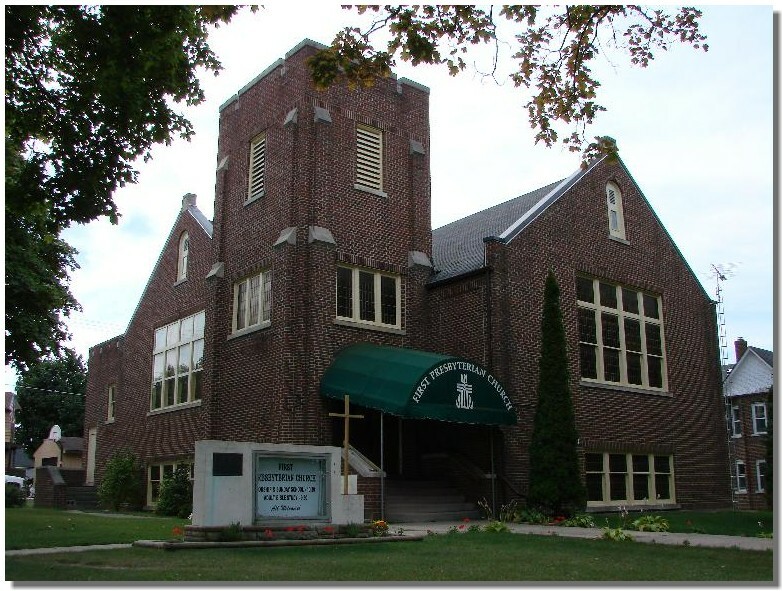 Our congregation is within the Presbytery of Lake Huron, with the Presbytery being part of the Synod of the Covenant. Links to pages of possible interest at the PC(USA)'s WWW Site can be found at our PC(USA) Devotions, News and Information page. This is in addition to those other pages here which have links to further pages of possible interest at either our denomination's or our presbytery's respective WWW Sites. We welcome all people of Faith to worship, fellowship, bible study and service. We profess the essential tenets of the Reformed Faith. Further elaboration of these tenets is contained in our Beliefs page, to which we direct you. We invite everyone to join us in following Jesus Christ as our Savior from sins and the Lord of our lives. Those interested in further information thereon, and links to the respective PC(USA) Web Pages, or in reading today's “Mission Yearbook 2019 Daily Reading”, are welcome to visit the Mission portion of our PC(USA) Devotions, News and Information page. We will be continuing to conduct our ecumenical Nursing Home Worship Service — consisting of Hymns, music, Scriptural Readings and other readings — every month on the third (3rd) Saturday of each month, beginning at 10:00 A.M., at Autumnwood of Deckerville, 3387 Ella, Deckerville.